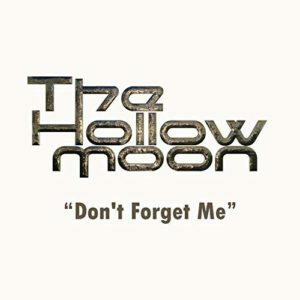 The Hollow Moon is a melodic progressive rock band formed by Darren Selesnow and Jon Farley in 2016. Darren lives in Los Angeles and Jon lives in Moray, Scotland. They have never met and collaborate using home studio technology. They have released five singles to date and will be releasing their first album soon. The singles are available for download on iTunes, Amazon, Google Play and to stream on Apple Music, Spotify, Deezer and Tidal. ​Darren has been playing and writing music for 40 years. His other band, The Edwardian Look, has been together for ten years. Darren studied music theory for six years. He composes music for The Hollow Moon, plays electric, acoustic and bass guitars, along with keyboards. His influences are the bands Marillion, IQ, Genesis, and Yes. Jon has played piano from the age of 9, and taught himself to play drums and guitar at the age of 15. He also composes for The Hollow Moon and provides vocals, drums, keyboards and guitar. Jon’s musical influences are IQ, Marillion, Rush, Yes, Pink Floyd and Steven Wilson/Porcupine Tree amongst others.